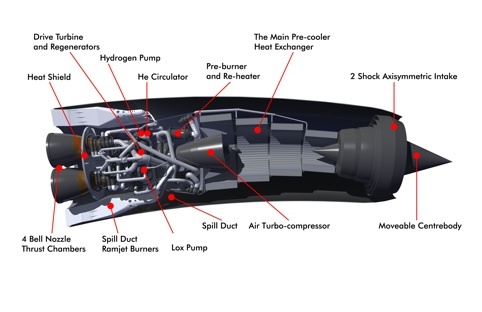 We had a fantastic response for our call for questions to the Reaction Engines team working on Skylon and its propulsion system, the SABRE engine. We collated your questions, sent them to Culham, and the RE team have kindly supplied answers. We’ll be continuing to cover Skylon, and hope to feature an update on the engine testing programme soon. What additional technical challenges are presented by the deep cryo precooler tests, as opposed to the “warm” cryogenic tests that have been performed to date? To date over 200 pre-cooler test runs of varying purpose and duration have been undertaken, including sustained sub-zero operation of the pre-cooler for time periods in excess of six minutes. As part of this testing process we have had to address several technical challenges associated with the test rig (i.e. the equipment that we use to provide the pre-cooler with the desired operating conditions for a given test) but the pre-cooler itself continues to meet expectations and has proved to be robust. The items on the test rig equipment that have required rework were not meeting expectations due to the impact of the unique operating conditions, including very high pressures and very low temperatures. As stated in our most recent press release the next phase of testing includes deep-cooling of the incoming airflow to -150 degrees Celsius. We are not able to discuss the testing in detail but we do not anticipate any significant additional challenges beyond those already experienced in the test rig, though of course any engineer will tell you there can be surprises. Most importantly we will continue to gather large amounts of data relating to the operation of pre-coolers. We will provide an update on the testing in due course. What work are you doing on other aspects of the engine besides the pre-cooler technology and how is this progressing? This work has been progressing successfully and has, along with in-depth engine cycle analysis, led us to the point where we are confident that a demonstration of the full engine cycle can be performed and this was also the conclusion of an independent technical assessment organised by the UK government. How much has the use of computer modelling/simulation aided this project – would it have been possible without it or just taken a lot longer? Computer simulation and modelling has been and will continue to be a vital component in the development of the SABRE engine and Skylon. We certainly wouldn’t recommend attempting this work without it! Of course, fundamental analysis undertaken with a pencil, physics and a back of an envelope is not forgotten and remains an invaluable tool. 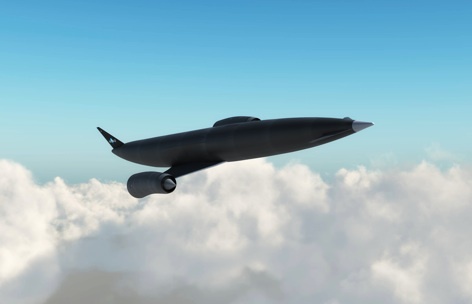 We have used computer simulation across the design process from analysing aerodynamics of components through to the performance and trajectory of the Skylon/SABRE system and the re-entry of the vehicle. Assuming everything goes according to plan, how long will it be before you can test the full SABRE engine on the ground and in flight and how would you conduct these tests? The SABRE engine offers an attractive development path because it is suitable for ground based test bed development. This is because the flow downstream of the SABRE engine intake is always subsonic irrespective of the speed at which the engine is flying. As a consequence it is possible to simulate the air-breathing flight conditions of the core engine up to Mach 5 on the ground prior to flight testing by appropriately heating the incoming airstream to represent high Mach flight conditions. This provides a cost advantage because it avoids costly flight tests and enables substantial development time on the engine’s core components on the test rig. The pre-cooler testing is an example of the benefits of ground based demonstrations with over 200 tests undertaken to date. 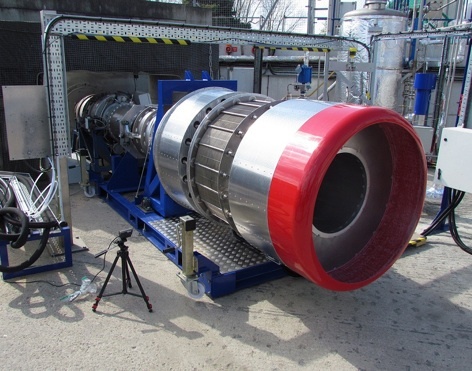 It will take approximately three years to undertake a sub-scale ground demonstration of the engine which will be used to provide data for the first full scale SABRE engine. Flight testing of engine systems will be undertaken in parallel with the ground testing in order to provide, for example, data on the nacelle supersonic and hypersonic aerodynamics. The ground testing and flight testing of the first prototype SABRE engine would take place 2-3 years after the sub-scale ground and flight testing commences. Would you be able to enlarge or improve the engine design for even bigger versions of Skylon or another craft and what would the limiting factors be? The jet engine has seen innovation and performance improvements over the many decades since its inception, for example the introduction of the single crystal turbine blade and increasing by-pass ratios. Similarly the SABRE engine is likely to see performance improvements in subsequent generations of the engine. This could include improving fuel consumption for a given thrust and increasing the engine’s top speed in air-breathing mode. REL is one of a small number of organisations to have considered the true impact of lightweight heat exchangers on aerospace and future developments could be quite exciting. The SABRE engine is designed to meet the requirements of the Skylon system which in theory can increase or decrease in size. 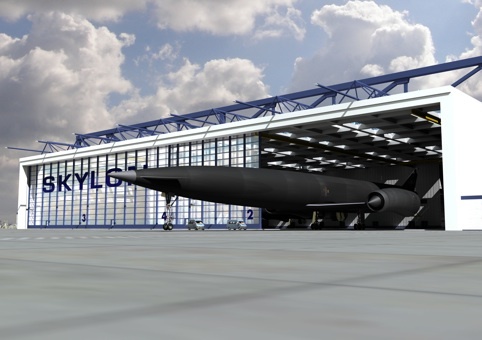 Factors to consider in varying the size of Skylon (and therefore SABRE) include the market requirement in terms of payload to orbit, increased development and manufacturing cost for larger vehicles, and increased payload sensitivity with smaller vehicles. As an aerospace vehicle gets smaller the payload as a percentage of take-off mass tends to reduce because some systems do not get lighter as the aircraft gets smaller. An example of this in Skylon is the aeroshell skin which cannot simply be made thinner as the vehicle decreases in size. When looking at smaller SABRE engines the design approach used for some subsystems within the engine can change. For example, at small scales it may be found that an axial compressor is no longer optimal for a task and a centrifugal compressor needs to be used instead. Therefore, it is important to consider the scale of engine demonstrators and to balance attempting to reduce cost with the transferability of the lessons learned to the development of practical systems. What kind of location do you imagine could be used for a Skylon spaceport in terms of its geographical position and surrounding landscape? For the operator of a Skylon vehicle the latitude of the spaceport will impact the mass that can be lifted to a given orbit. For high volume cargo flights e.g. for operators wishing to use their vehicles for large projects such as construction of space stations, large satellite constellations and interplanetary missions it would be most cost effective to use an equatorial spaceport in a remote location. We imagine that several sites would emerge around the Earth’s equator. Where the cost per mass to orbit is less critical or where polar orbits are a priority the Skylon spaceport could be located away from the equator, including in the UK. Skylon operations will also need to comply with a variety of regulations and this will impact on the exact location. An obvious example is that the spaceports are likely to be located away from densely populated areas to avoid the impact of noise and to reduce insurance costs. The regulatory environment for Skylon is currently being explored by the UK government. 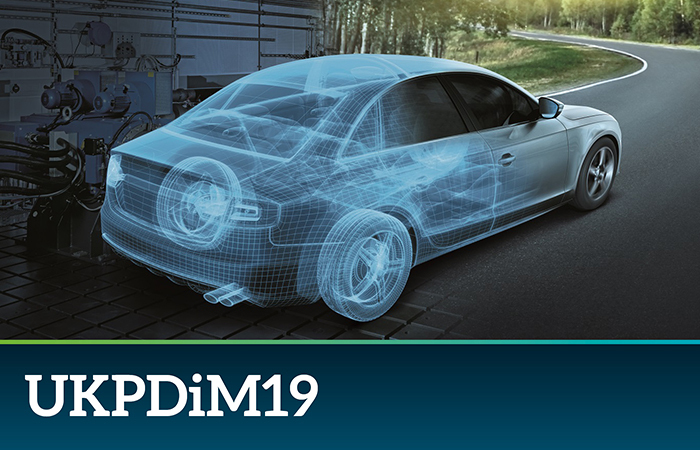 What other applications do you think your propulsion, cooling and other technology could be used for? There are a large number of potential and exciting applications for the SABRE engine and its enabling technologies beyond the space access market. In terms of propulsion, the SABRE engine has derivative configurations that have been shown to be suitable for high Mach atmospheric cruise applications. One example is the Scimitar engine which was analysed as part of the joint private/EU funded LAPCAT project. It is capable of Mach 5 cruise to transport passengers and cargo around the globe with a significant reduction in journey time for long distance flights and without the necessity for mid-journey refueling. Other areas of propulsion technology include energy recovery and improved cycle efficiencies for subsonic gas turbines and higher performing exhaust nozzles for current expendable launch vehicles. Other market applications for the technologies that we have been developing include but are not limited to improving the efficiency of ground-based heat engine cycles for power production, reducing infra-red signatures in engine exhausts, increasing the performance of automotive engines through improved waste heat recovery, higher performing air-conditioning and refrigeration systems for civil and industrial applications such as for LPG shipping, and increasing the efficiency of cooling for electrical and nuclear power systems. What sources of funding do you hope to secure to complete the project and, given the considerable public interest in the project, have you considered crowd-sourced funding of any kind? The SABRE engine’s development has reached a point where the next logical step is to demonstrate a full SABRE engine which will represent a major breakthrough in propulsion. REL has achieved this through a combination of engineering talent, a visionary shareholder base and far-sighted investment by the UK government in a new high-tech industry. This mixture of funding from private, industrial and government sources is the approach that we will continue to use. Crowd-sourcing would offer people the chance to contribute to the project, and we are very pleased to hear that members of the public would like to contribute, but unfortunately this mechanism does not fit within our funding model. 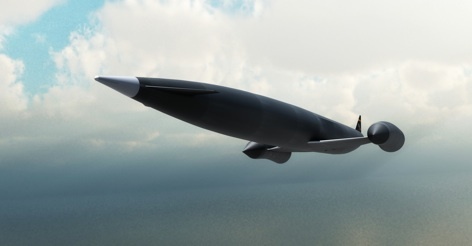 How do you plan to commercialise SABRE and, should it prove successful, how will you go on to develop and commercialise Skylon? What mechanisms do you have in place already (if any) to ensure this? It is widely recognised within the aerospace industry that a propulsion breakthrough is needed to meet requirements for responsive, reliable and cost-effective space access. SABRE looks to be that breakthrough and REL is receiving significant global interest, particularly from the US market, in using SABRE to meet a broad range of current and future operational requirements. REL looks forward to working in partnership to bring SABRE and Skylon to market and to secure a profitable lead in this new technology and the markets that it will create. In the long term we envisage that SABRE, through enabling reusable space access vehicles like Skylon, could transform the space market from its current form of single use proprietary launchers into an industry which more closely resembles the aviation market. 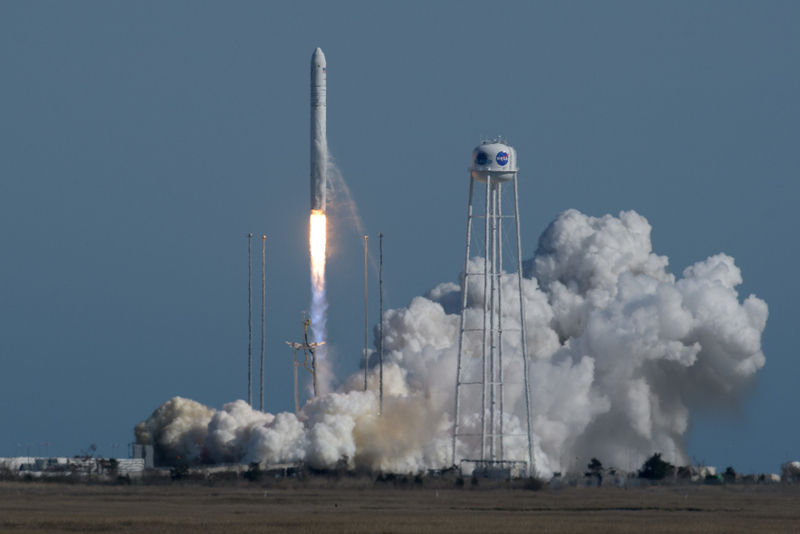 This would include manufacturers selling reusable launch vehicles to multiple operators who provide launch services for current and new markets. This represents a significant change but the space industry looks like a growth megatrend for this century with revenues already on a trajectory to reach $1bn per day within the next few years, and SABRE engines can drive that growth and underpin the industry’s vital transportation infrastructure. In addition the core heat exchanger technology has enormous commercial potential across a broad range of market areas (see Q7 above). Do you intend to manufacture the engines and, potentially, the craft yourselves or would you be happy to licence the technology to or merge with a larger firm or organisation (NASA perhaps)? How committed are you to manufacturing the technology in the UK? REL has undertaken a significant amount of work on both the SABRE engine and Skylon in order to prove their viability. Like any major aerospace development it will involve the whole of industry and relevant government agencies in their capacity as customers and regulators. As we have driven this process our UK footprint has grown and the UK’s aerospace industry, as the second largest in the world, will benefit from SABRE and Skylon. For me the last question is the most important. The epic effort and sheer brilliance of the REL team deserve to be rewarded by seeing all there hard work actually being built in the UK by a British company. The bosses of BAE should be falling over themselves to build Skylon instead of wasting their time selling our biggest engineering company to foreign control! We have a long history of doing this in a different way that doesn’t offer us the benefits that here will. We have been designing US jet engines for a LONG time. The best US jet engines of the silver era, the 50s Canberra still flown by NASA today, the Lightning, the 60s Harrier VTOL the US still cannot replace because they cannot get VTOL perfectly, and the BSR-2 that honestly would have been a phenomenal craft had it made prod all show that the UK would benefit more from having a stake in a US company, which markets it’s planes more actively as part of it’s culture, than simply sell the planes. Of course that’s a one-way argument as we’re now selling tech, so you’d imagine it would balance out with a wealth of rocket technologies accessible only to US sci/tech/mil companies. 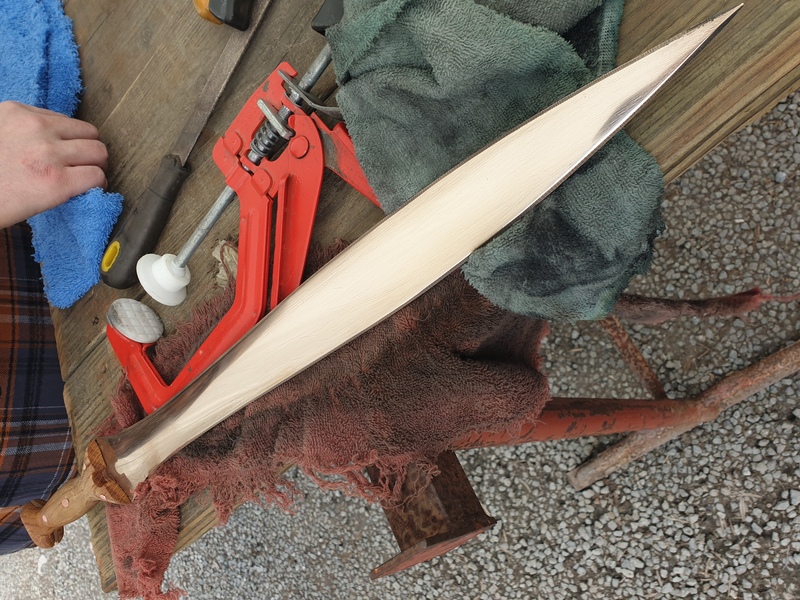 Things like ablative armor and advanced ceramics then become accessible to a still partly UK owned company, and soft power is stronger between countries. Info age. I am happy to put my name to the anonymous comment above. Even so, and sadly, I am sure the development will have to be multi-lateral and multi national. Even the Americans have had to stop pretending they have all the money and can afford anything. A JV development with any one or several of the biggest foreign hitters will be better than no development at all. Thanks for choosing my Q. I believe this will be a European effort, It’s just too big for British companies alone, although BAe and Rolls Royce should both be involved. ESA will coordinate and hopefully help by including SKYLON in its plans post-Ariane 6. US cannot get involved due to ITAR. Still looking forward to see an RAF SKYLON with a Union Flag on its tail! I wish those concerned every success with this endeavour and I have great admiration for their efforts. I haven’t, admittedly, spent much time studying the engine but I did see it on a TV programme recently. Forgive me if I misunderstand or have missed something but I believe that it relies on pre-cooling the inlet air by means of heat exchangers. 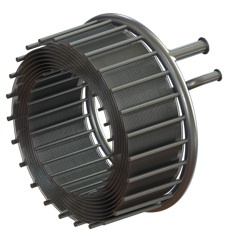 As with any heat exchanger, such as a car radiator, the weight and space/thermal efficiency depends on thin sections of thermally conductive material arranged alternately with minimal air gaps. My concern is that the heat exchanger would act as an air filter, due to the fine air gaps required. This leads to the possibility that the air gaps might get blocked by atmospheric debris, from insects to pollen and worse. Apologies if this point has been dealt with elsewhere. It was a similar practical consideration which put an end to the work carried out on the boundary layer control of laminar flow wings. These employed a combination of tiny holes and/or slits in the wing surface. This, sadly, proved to be impractical in the real world of dirty air. Perhaps a leaf (excuse the pun 🙂 could be taken out of Dyson’s cyclone book? I’m sorry to say but just because something can be done one has to do it. Unfortunately this is the case with SSTO in general and Skylon in particular. Yes, I believe they can be made but it’s not worth it. A fully reusable 2STO would be easier and cheaper to realize: fist stage derived from RE A2 and a second stage deigned as smaller scale Skylon with “classic” rocket engines with altitude compensating nozzle (Aerospike) which are powered from start and fueled until separation from the first stage. Otherwise Skylon will remain just another waporware or cryoware(forever frozen). There would be no saving in your proposal. 2 stage with 2 winged stages would require 2 vehicles to be developed! There are no COTS Aerospike engines available, so these would need to be developed. This all adds to the cost, as Skylon would cost roughly £10bn to develop, you are looking at iro £20bn for both craft. There are a series of additional technical problems to be solved; the main one’s being the deployment of a daughter craft from another winged aircraft at Mach 4+ and the aerodynamics of having a mother daughter setup above supersonic speeds. The turn around times and costs would be higher. Maintenance costs would be higher. The payload fraction would be lower due to additional weight from two sets of wings, fuselage, landing gear, engines etc. Where are these savings coming from? @Claudiu Sav, apologies for spelling your name incorrectly. 1 – There are no COTS Aerospike engines available but their research is matured and there are prototypes which were fired/tested, none of which is true for Sabre engine. 1′ – As an alternative you might directly use the only existing reusable rocket engine, the SSME. 2 – The first stage is based on an existing project RE A2 with a wider market – passenger carrier, and it does not need be space worthy -> cheaper. 3 – The separation of two crafts at Mach 4+ was regularly and successfully done by Space Shuttle: SRB separation is at a speed of Mach 4.5. Unfortunately for reusable spaceships the financial failure of both Space Shuttle and Energhia/Buran and the successful flight of the reusable SpaceX Dragon capsule means that will take some time before any proper funding will be found for a fully reusable spaceships. And if the funding will be found it should be properly used on something which will eventually fly – in my opinion a reusable 2STO. 1. Yes there is existing tech off the shelf, but to use a pure rocket would require a vehicle 3x the size, due to the extra oxidizer. But at that point it would be easier to use an existing rocket. 2. Your first stage would need to be adapted aerodynamically to support, carrying the 2nd stage at Mach 4+. Due to the extra weight of the 2nd stage it may also need to be bigger than what is planned for the Lapcat A2. The XB-70 only made several mach 3 flights and was canned, due to several problems including costs. The A-12/SR-71 were operated by the CIA with horrendous budgets. A lot of them crashed during development, they also had a lot of other issues, many of which are probably not public. The only other winged aircraft that have exceeded Mach 3 are X planes, i.e. X-15, X-43. Arguably the Shuttle and other rockets, may or may not be considered aircraft, but that is another discussion. Going beyond Mach 2.2 is not simple and is dramatically affected by aerodynamics of the craft. 3. When the SRB’s from any rocket separate, if they tumble or lose control once clear of the vehicle this is not a problem. There is also the benefit that the rocket is still accelerating when the SRB’s are released. Also back on the XB-70, one of the reasons this was canned was due to a collision with an F-104, this was due to the aerodynamics of the XB-70 causing the F-104 to flip over and crash into the XB-70, now obviously these are not the same craft, but the effect will be pronounced at higher velocities due to the higher relative air density. The Shuttle was a financial failure for political reasons and how the program was funded. 1. It was supposed to operate over 100 flights a year. Which it never even got close. 2. The US Airforce (who funded most of the program and introduced a lot of requirements that compromised the system from NASA’s perspective) were also supposed to operate the Shuttle, when they realised the launch frequency to make it cost effective, they backed out, lumping all the operating costs on NASA. 3. There was additional political pressure from the manufacturers lobbyists and subsequently Washington to keep the program going, with ‘guaranteed’ job programs etc. A: It had to be manned. B: It is one of the most complex machines ever built. C: It was not fully reusable. D: It was much bigger than NASA intended (Airforce). Fundamentally the bureaucracy did it’s up most to keep costs high. The Buran was cancelled as the USSR had collapsed and the Russian federation was effectively broke at the time. The X-33/Venture Star, could have worked and was canned, primarily for political reasons. Going for TSTO in this configuration, would have higher costs, you’re also negating the benefits of TSTO by using winged craft. If we don’t aim for SSTO, we will never get there and SSTO, once developed, is critical for improving access to space. Just looking at the length of this craft relative to the winged area to me spells disaster at low speeds. At the end of the day its a compromise thats why I believe whats needed is a two stage to orbit craft with the saber engines being used in the second stage from mark 2.5 upwards. It would seem logical for the ESA to take up Skylon as the future Ariane 6, if they are not to avoid being relegated to the third division by SpaceX et al in the USA. If this is not decided at the next ESA Ministerial meeting in 2014, the UK can and should go it alone. The cost (£10-12 billions over 10 years) compares with the Olympic Games, and is totally dwarfed by the idiotic High Speed Train,( £35 billions and rising) for which the only certainty is that it will INCREASE the cost of rail travel to millions of ordinary rail passengers, who are less than impressed..
Skylon is the only proposed transportation system which offers to reduce costs to its users. How will cooling the exhaust gases increase efficiency of the engine? 5. Full sized working demonstrator lapcat craft ?? I am new to Reaction Engines and find all the above discussions most enlightening. Future space flight is going to have to be cheaper and hence horizontal launch and recoverable is a MUST. REL have undertaken a massive task and I fully support them, they need to embrace many new technologies and will have many problems to overcome, they will need the help of all who can supply them, including the USA. If we can keep the basic designs/technologies in house, the UK will play a major role in future space flight. For the US to not be involved, sounds completely silly. This is a British development, but US is already involved in the pre-cooler testing. It appears to me the flow of “weapons” technology would be from GB to the US, actually, in this case. I think this is a boon for all mankind, including aerospace, transport, ground-based power generation efficiency, and a host of other industrial aspects, not the least of which is greater cooling efficiency in cold storage plants. I am certainly one American who is a great cheerleader for air-breathing propulsion to the edge of space. I am also a proponent of alternative propulsion fuels to hydrogen, especially the higher silane compounds that are analogs of hydrocarbons, as the ones above Si number 7 are stable liquids similar in stability characteristics to diesel or kerosene (jet fuel). 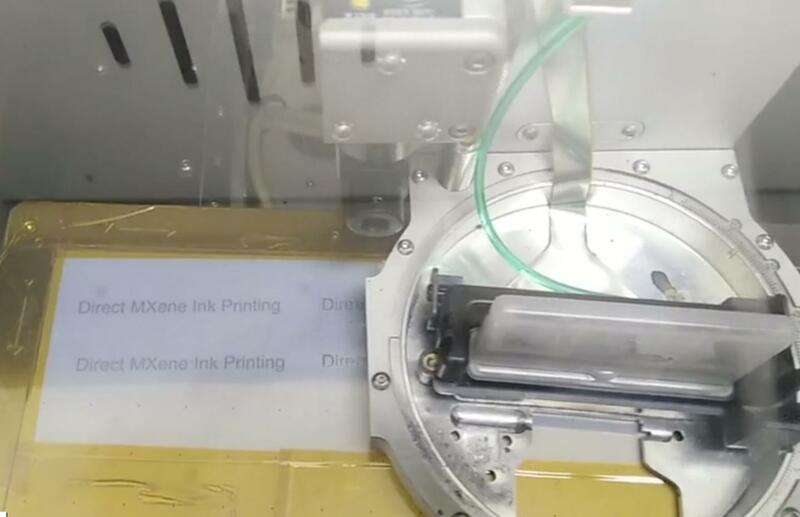 The silanes will allow using the entire atmospheric pressure of nitrogen and oxygen as oxidant, since these will burn to Silicon nitride and water vapor primarily. The high temperature (steam) can convert the silicon nitride to silicon dioxide and ammonia, with a possible secondary burn with oxygen. Many things of interest here. From what I can see you have designed a helium gas turbine, from scratch; this must have more stages than one used in a conventional gas turbine engine (which uses air + combustion products) due to low density of helium. Given the importance of high temperature gas flows in advanced nuclear reactors – how hot is the helium getting, at turbine entry?